AL Series Solvent Agitation Washing Tanks are designed to clean parts or parts batches using adjustable agitation platform, ranging from 0 to 160 oscillations per minute. Simply load part in tub, set wash cycle length and that’s it! 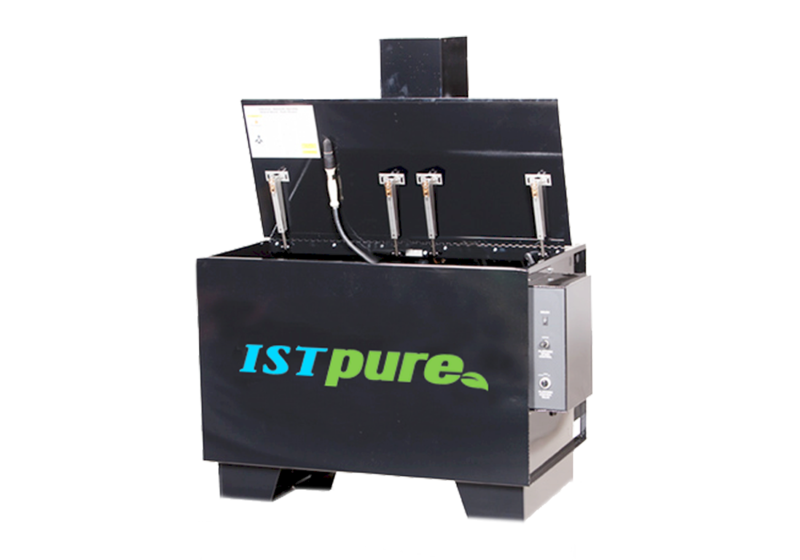 Parts are immersed in solvent as agitation platform oscillates vertically to dislodge grease and oil on surfaces and in cavities. Made of robust, industrial-grade steel for long-lasting, trouble-free operation, these parts-washers come in 80 to 150 gallon capacity. Heavy-duty stainless steel inner chamber fitted with explosion-proof components complies with Class 1 Div. 1 standards. Baked epoxy-powder finish provides durability, and robust self-cleaning agitating platform lifts parts to top for easy loading and unloading.